The declining of the birth rate and the aging of the population are rapidly advancing in South Korea. 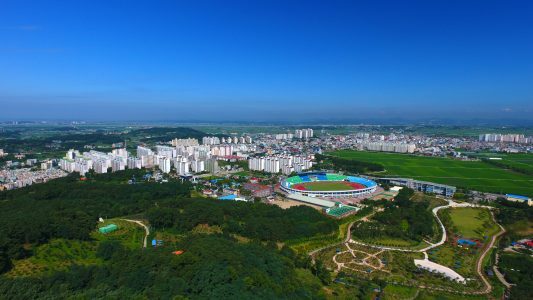 Nonsan city has become an aged municipality in 2007, when the ratio of elderly population, 65 years and over, reached 14.2%. As of the end of March 2018, the ratio of elderly population reached 22.9%, which equaled to 28,764 persons. This is the highest ratio among the municipalities in South Chungcheong Province. In addition to the rapid growth of the proportion of elderly population, Nonsan city has a relatively high ratio of the low-income class elderly and the city is especially in need of an age-friendly environment. For the elderly in need of support, the city is preparing to be a proud member of WHO Global Network of Age-friendly Cities and has been building networks to allow the elderly to contribute to the growth of local community, to create the urban infrastructure for that will make the life of elderly more comfortable and to become a local community where everyone lives in harmony. The policy of the city of Nonsan already takes specific needs of elderly people and elderly people with a disadvantage into account. The city will use the age friendly initiative to further strengthen and streamline its activities in the face of the rapid demographic changes that are evolving right now. We believe that the network will deliver invaluable information on the same problems we will be working on, including possible solutions that will work in our city as well. We believe that the age friendly city initiative will help us work more coherently and altogether better on the topic of the demographic changes and the ageing population. Civilians including the elderly are already involved in Nonsan City’s policy making. We have elderly advisory boards in place in neighbourhoods as well as a board on a city level, aimed specifically at services delivered to those in need. We also have some panels of elderly people. At the public health service we have a lot of experience with a community approach on public health and welfare themes. Apart from these elderly panels, we will also reach out to other groups of the population, since the entire population is a part of the age friendly city. In addition, we have a plan that encourages younger generations to participate in local communities more actively. Cross sectoral collaboration is common and active in Nonsan. We have a program on a healthy and safe city, which is a combination between spatial planning and the public health and welfare department. We have the Nonsan Inner Committee, where a number of departments work together from the social welfare, spatial planning, elderly and disabled care department. Furthermore we are planning to form a multi disciplinary working network where the entire field of social affairs, youth, childcare, public health and welfare, traffic and education is integrated.